Say goodbye to acne and pimples by opting for this hair and skin care essential oil. 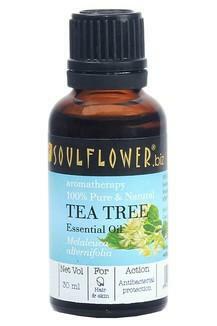 With the goodness of tea tree oil, it gives antibacterial protection and also lightens the blemishes. Besides, it helps in eradicating dandruff so as to give you lustrous hair. Get this hair care and skin care essential oil from Soulflower and upgrade your skincare collection.